Baltimore County Police have identified the main suspect in a string of recent Baltimore area burglaries. The burglaries have resulted in the theft of valuable items such as electronic office equipment, black checks, food, office supplies, postage stamps and money. The main suspect is apparently a 48 year old man from Baltimore that has also been implicated in other burglaries throughout Maryland. The recent Baltimore burglaries occurred on or about April 3 and included the breaking and entering of two medical offices. The first office was a podiatry center and the second burglarized office was a medical office used for testing and treatment of hearing disorders. Both offices used and stored valuable medical equipment. The Baltimore burglar apparently gained entry to the offices by breaking exterior windows and crawling through the open space. Police did not release information as to whether the office buildings had security systems in place such as alarms and motion sensors. Police also did not release the monetary value of the stolen items. The value of the stolen items would be relevant in prosecuting the Baltimore burglar once he is arrested. The value of the stolen items often dictates which criminal charges will be filed, and if captured the Baltimore burglary suspect faces felony burglary charges along with theft charges. The theft charges could be felony or misdemeanor theft charges depending on the value of the stolen items. In Maryland theft of property over $1,000 in value can be classified as felony theft. Police have also implicated the Baltimore burglary suspect in a string of burglaries that occurred back in December on York Road in Baltimore County. The criminal suspect apparently gained illegal entry to the York Road offices by prying doors open and breaking exterior windows. This same Baltimore man has also been tabbed as a suspect in another string of burglary and theft cases on Reisterstown Road in Baltimore County, and on Painters Mill Road. Baltimore County Police detectives have not released information as to how they obtained the identity of the main burglary suspect. Typically in burglary and theft cases, police will use a combination of video surveillance footage and eyewitness accounts to produce a suspect. 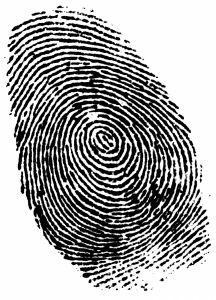 In higher profile cases and cases where there is an ongoing criminal scheme, police will also incorporate the use of forensic evidence such as DNA and fingerprint analysis. Contrary to what is shown on television police do not spend the money or time to analyze every crime scene for forensic evidence using sophisticated CSI procedures. For example, DNA testing may not be used in less serious criminal investigations due to the cost, and the amount of time needed to obtain the results. On the other hand, latent fingerprint analysis is commonly used because it is cheap and relatively fast. 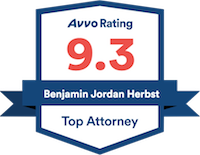 The Herbst Firm is a Maryland criminal defense firm that handles all types of criminal cases. If you or someone you know has been arrested or is being investigated for burglary or theft, contact an experienced Maryland criminal lawyer for a free consultation. Police Identify Suspect In Baltimore County Office Building Burglaries, baltimore.cbslocal.com.